Hyochuka made her first appearance in episode 12 of Kamen no Maid Guy. 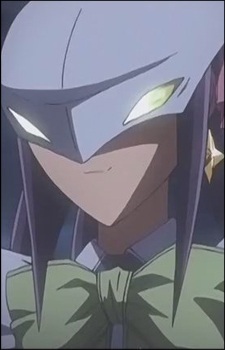 She is the second Masked Maid to appear in the series. using similar ability's and powers. instead of a decoration for her (Bowtie) Scarf. Hyochuka's strength compared to Kogarashi's is unknown since she used a Maid Guy Whistle to render Kogarashi immobile to beat him. She is also a Master puppeteer; using Large "Dolls" looking like "Maid Guys" to do most of the fighting for her.